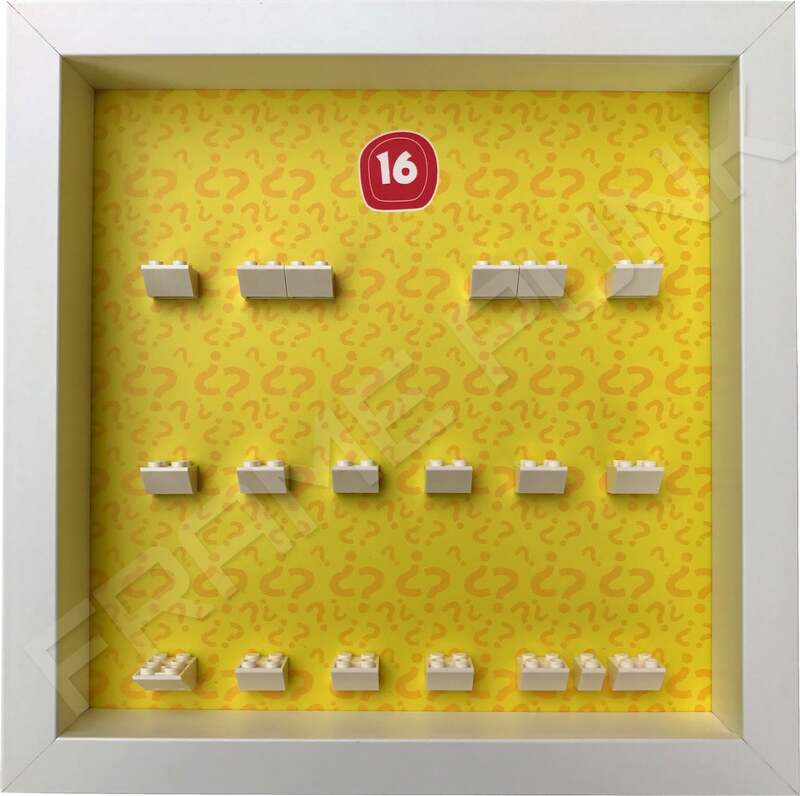 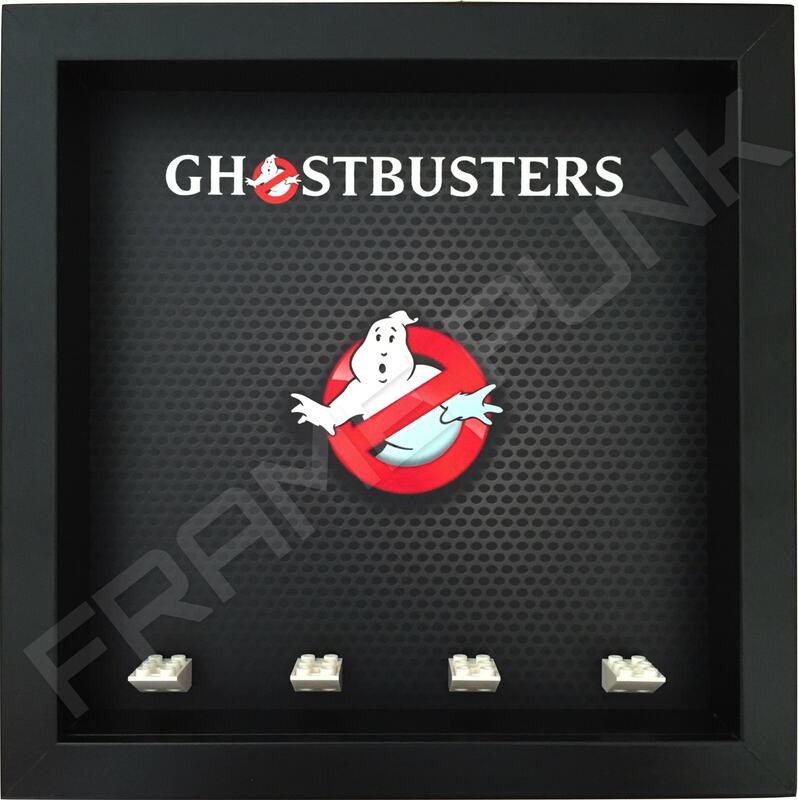 19 official White LEGO mounting bricks. 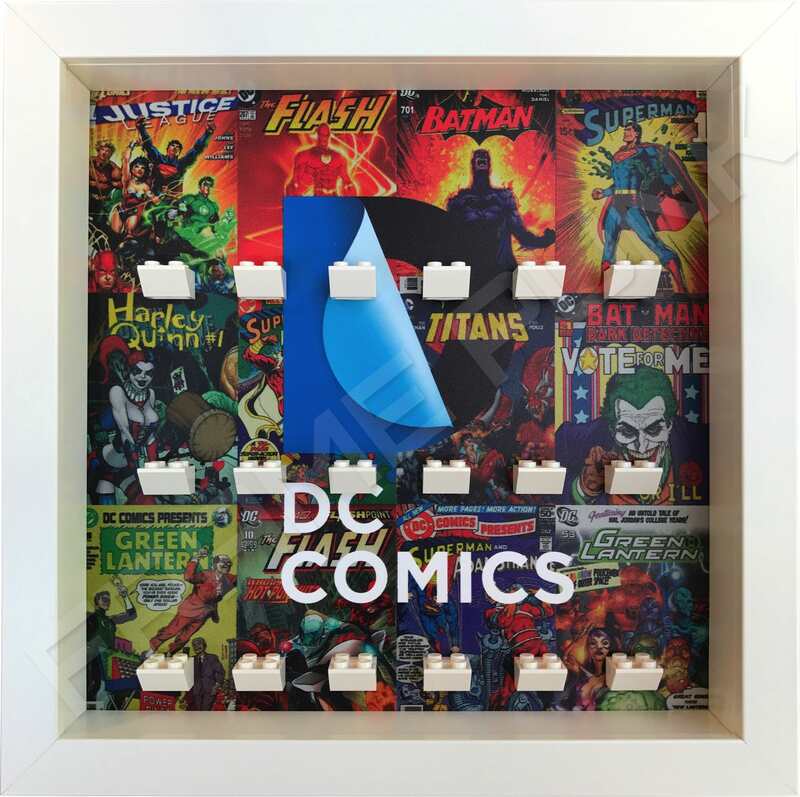 1 extended official White LEGO mounting brick for the Hiker minifigure. 3 additional official White LEGO mounting bricks that have been paired up with other bricks to accommodate: the Wildlife Photographer minifigure, the Kickboxer minifigure (has a single stand mounting brick for her headgear as seen in picture), the Dog Show Winner minifigure and their accessories. 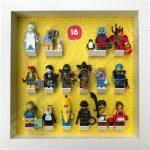 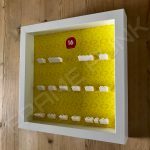 This Frame Punk LEGO Series 16 minifigures display frame is designed to hold the complete set and identify with the colour scheme of the blind bags that the minifigures come in. As with all of our series frames, we try and accommodate each minifigure and its accessories. 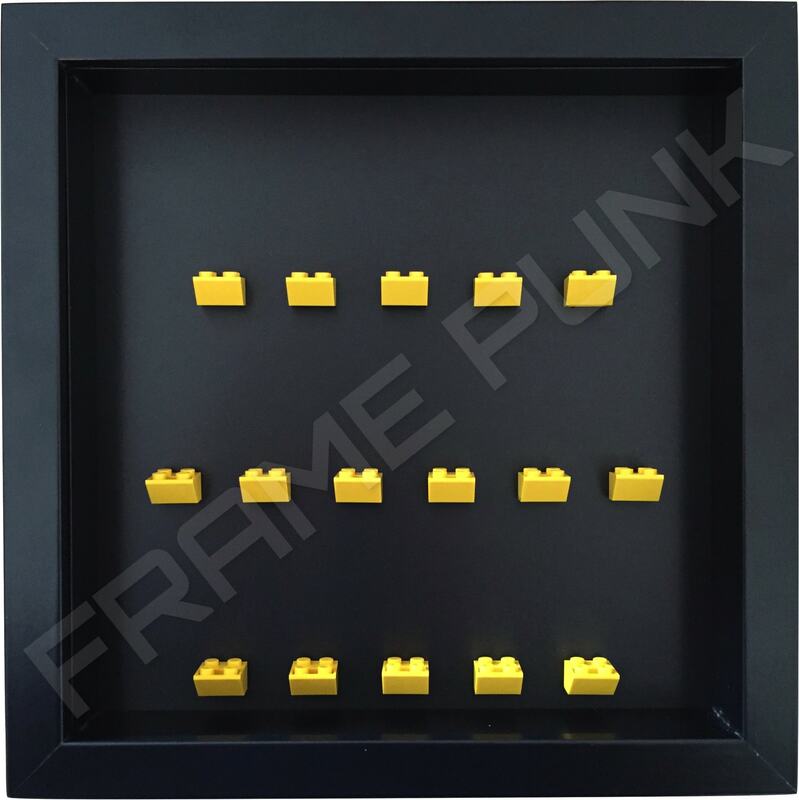 For this one we have included 1 extended Lego mounting brick for the Hiker minifigure, and an additional 3 mounting bricks to pair them with others for the Wildlife Photographer, the Kickboxer, the Dog Show Winner and all of their accessories.